Big Boi’s long-awaited post-Speakerboxxx solo album was poised to become the Chinese Democracy of hip-hop—numerous delays, a label change and a protracted production cycle left fans wondering if they weren’t witnessing Dr. Dre’s Detox play out all over again. 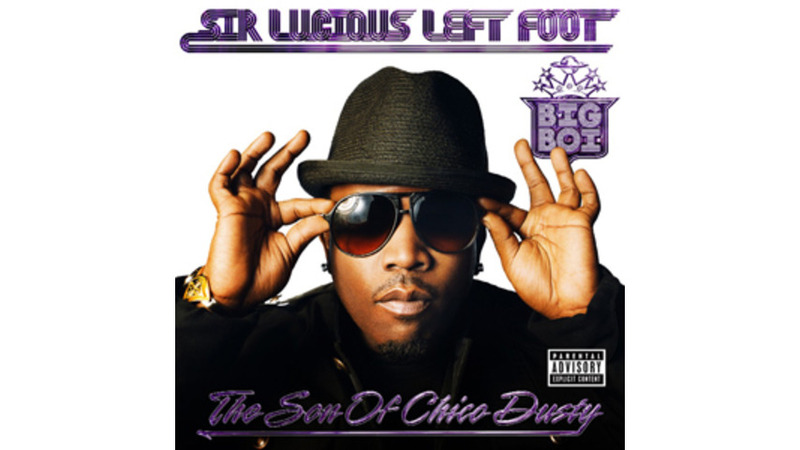 But after four years, Big Boi has finally dropped Sir Lucious Left Foot: The Son of Chico Dusty, a massive, ambitious album shot through with knee-knocking beats and deft lyrical touches from Outkast’s swagger champion. Lead single “Shutterbug” is a representative sample of Sir Lucious Left Foot’s charm and aesthetic—thick, infectious electronic hooks and an barrage of Antwan Patton’s trademark wordplay, grafted to a southern hip-hop sensibility lurking deep in the beats. Big Boi’s fellow ATLiens are out in full force, with abounding featured verses from T.I. (the hazy, trippy “Tangerine”), Janelle Monáe (the ultra-sparse “Be Still,” which may as well be a leftover from The ArchAndroid) and B.o.B. (the skittering “Night Night”). And Big Boi enlists trap-rapper du jour Gucci Mane, who weighs in with his impossibly slurry and stream-of-consciousness delivery on “Shine Blockas” a goofy and soulful banger that seems crafted specifically with car stereos in mind. It was long assumed that André 3000 was the primary creative drive behind Outkast. Sir Lucious Left Foot puts the lie to that notion; it’s wildly different from anything Big Boi’s done with Outkast or the Dungeon Family, yet still entirely, remarkably his own. It’s no mean feat for him to drop a solo album that’s both a trove of pop jams and a profound piece of artistic experimentation, and he’s done just that—a remarkable achievement by any measurement.